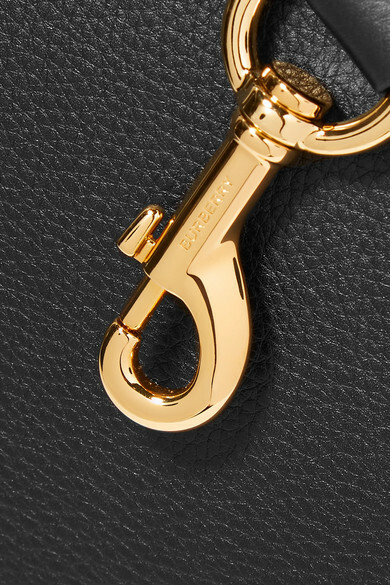 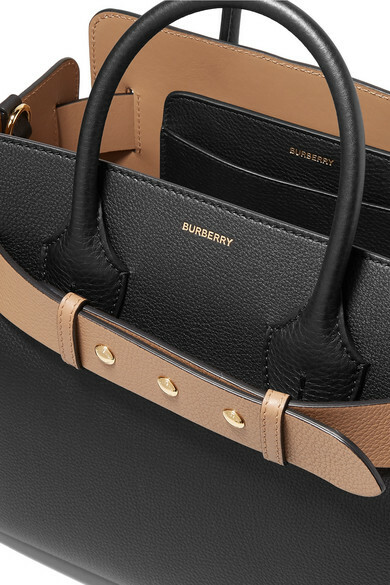 The snap-fastening belt that outlines the top of Burberry's tote is inspired by the ones on the brand's heritage trench coats. 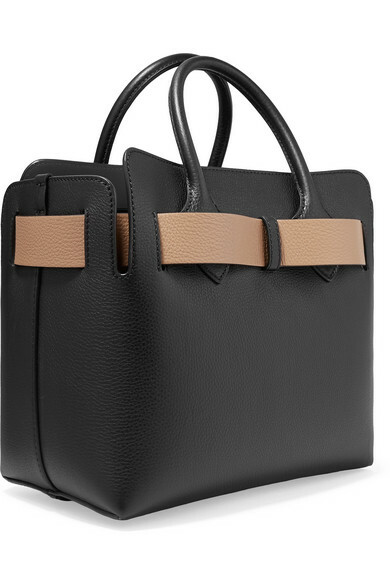 This bag is made from black and tan textured-leather, and has two slip pockets to keep a cell or cards close to hand. 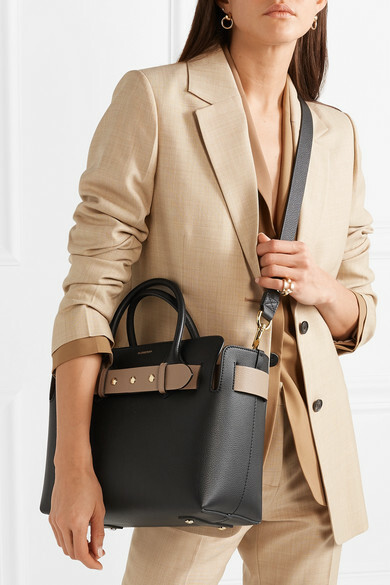 Perfect for busy days, you can attach the longer strap to carry it on your shoulder. 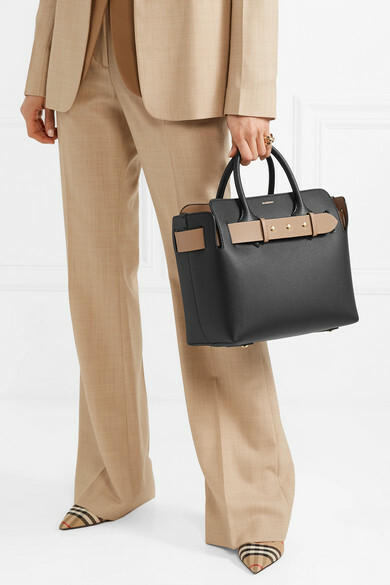 Shown here with: Victoria Beckham Pants, Theory Blazer, Victoria Beckham Blazer, Burberry Pumps, Laura Lombardi Earrings, Jennifer Fisher Ring.